Learn to create a stop-motion look inside of After Effects with no physical cameras and no moving elements. Normal stop-motion takes a long time but inside After Effects its quick and easy if you know how. This intro episode will explain the basics of stop-motion, and get you started with the simplest and easiest methods of mimicking the technique in After Effects. Imperfections are one of the trademarks of hand-made animation. Learn to add similar imperfections to rotation and position with the Wiggler tool. Using the Posterize Time effect allows you to change a layer's frame rate. Here's how to use it. This episode covers how to achieve a realistic paper-cutout look. With just few tricks, you'll make your digital creations look hand-made. With our new knowledge of expressions in After Effects we can write a Wiggle expression to make layer properties a bit more random. 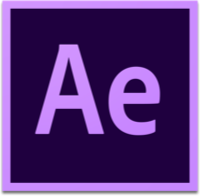 After Effects files can get messy fast. This episode covers learning to be organized and controlling all layer and property frame rates in one place. Learn to replicate various lighting conditions by using expressions to randomize some of the light properties. Learn how to use time remapping and pre-compositions in After Effects to negate issues with prior and future stop-motion problems. Learn to animate characters individually in text layers – in 2D and 3D! This is a key technique to making your lettering look great. This episode explains how to exclude one axis (Z in this case) from the wiggle expression. We've covered a lot, so it's time for a quick recap before we wrap up.